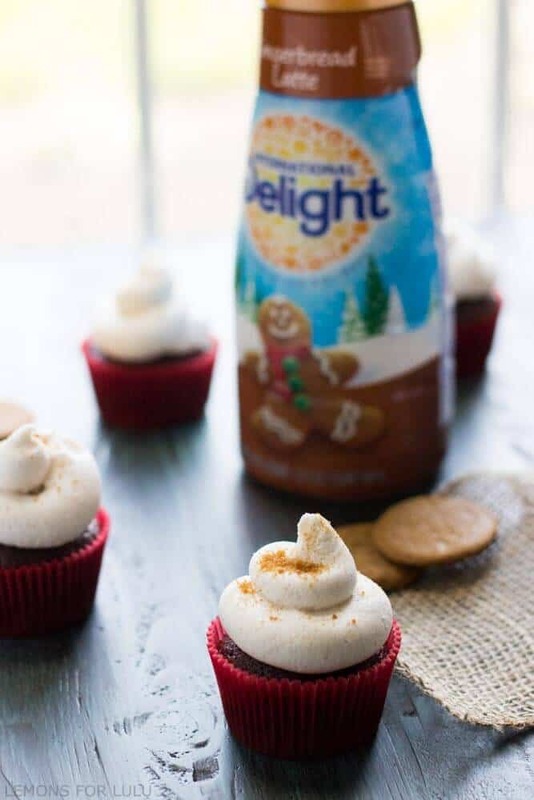 Gingerbread is the star of the show in this holiday cupcake recipe! Perfect gingerbread latte buttercream, swirled over rich chocolate mocha cupcakes! I’ve been in the mood for Christmas for months now. I think the mood first hit back in July when I walked into Hobby Lobby and was struck by all their lit up Christmas trees. It was a big red and green reminder that Christmas is ONLY six months away! JUST SIX MONTHS, it totally snuck up on me! I’m a big kid when it comes to Christmas. I just love the whole holiday season. I get giddy thinking about baking red velvet cookies, decorating, shopping, whipping up peppermint fudge and making gingerbread houses with the kids, and of course, the giving. I’m ready to dive in. Halloween is finally over so I think I can officially start getting into the holiday spirit. I’m just going to skip over Thanksgiving (I was never into cornucopias anyway) and pull out the Christmas lights, the yard decor, the garland and the stockings. I’m already making my gift spreadsheets, collecting Elf on the Shelf ideas and making my baking supply list. Christmas: bring it. My husband is not of the same mind-set. The mere mention of Christmas trees has his eyes rolling like pinballs. It’s not that he doesn’t enjoy the holidays, he just prefers to enjoy the CURRENT one. Whatever. We all know the real meaning of Thanksgiving is to eat lots of food, watch football and plan our Black Friday shopping. This year, I’m skipping all of that (minus the shopping part) and steamrolling right into Christmas! 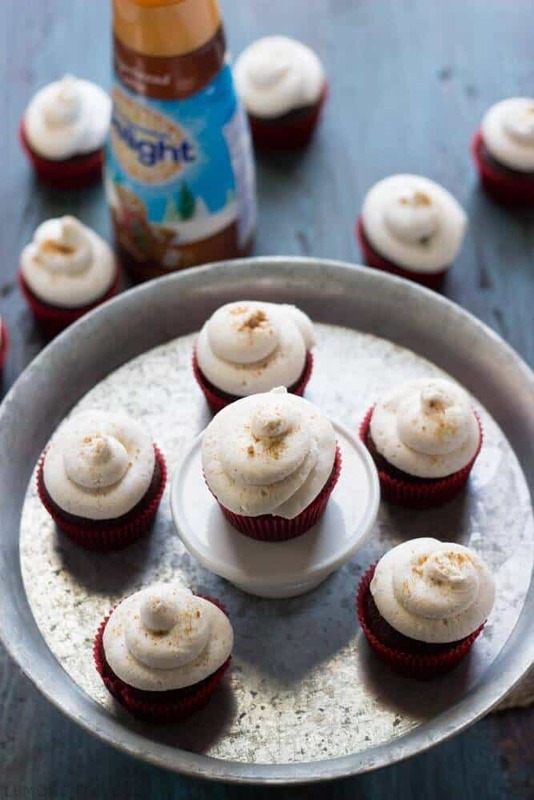 The best way to kick off the holidays is with these gingerbread cupcakes. The smell of ginger will fill your house with such a delicious aroma; you’ll be pulling out your appliqué Christmas sweater in no time! 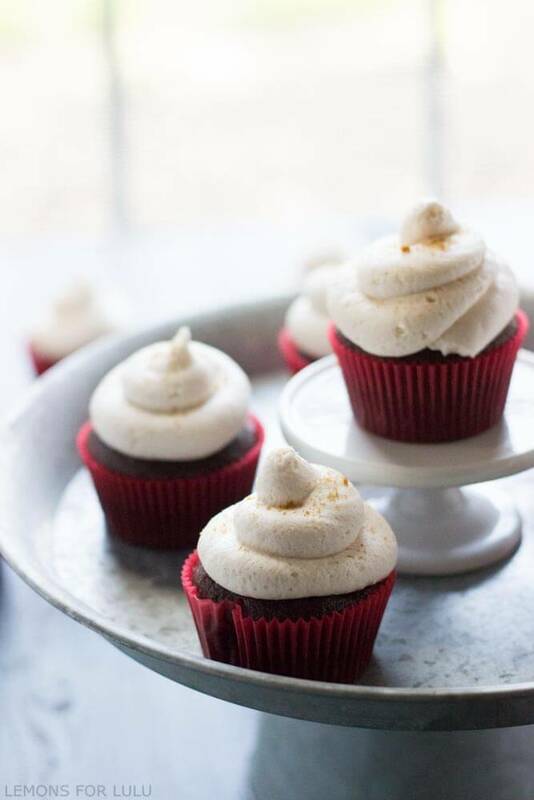 These gingerbread cupcakes start with a rich chocolate cupcake that I infused with espresso. The coffee has a way of intensifying the chocolate flavor in these cupcakes. While these are not dense little cakes, they are sturdy enough to hold up to the thick, sinfully smooth gingerbread latte buttercream. I used International Delight Gingerbread Latte Coffee Creamer to enhance the taste of this buttercream. A dose of cinnamon rounds out the flavors. 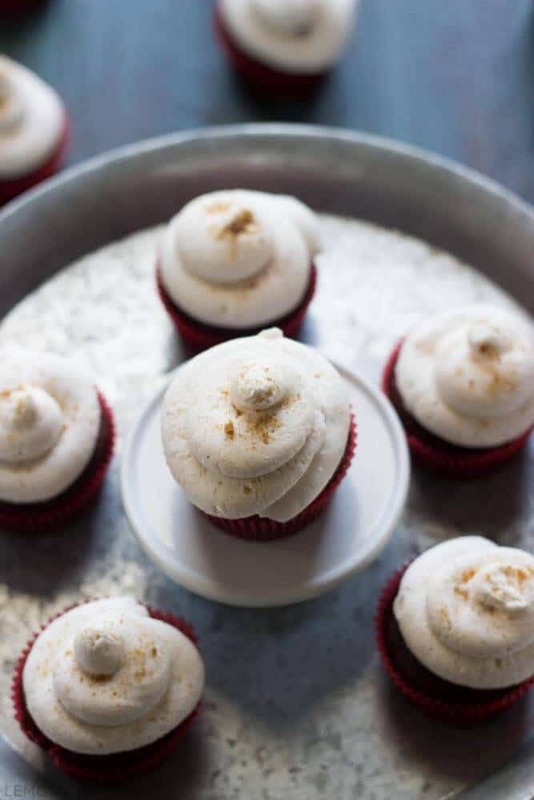 These gingerbread latte cupcakes are like Christmas in one neat little-baked package! This buttercream recipe is the one I use most often. I always use a mixture of shortening and butter. I think they compliment one another. If you use all butter, the buttercream is way too rich and well, buttery. Plus, in certain temperatures it will separate. Frosting made with all shortening leaves an aftertaste in my opinion. Therefore, a combination of the two is my own personal preference. Be sure to beat your butter and shortening for at least 5-10 minutes. The creamier, the better! Then carefully add one cup of powdered sugar at a time. Buttercream takes patience. Do not add your next cup until the first one is fully incorporated. This buttercream is forgiving. Add liquid only as necessary. I add my creamer one tablespoon at a time. It is always easier to add more than to take liquid out. As soon as your buttercream is a good piping consistency, then you are finished. Although it seems contrary, you do need a pinch of salt. It enhances the flavor while cutting into this very sweet frosting. To pipe the buttercream, use a large pastry bag and an 809 round tip. I hope you enjoy these festive gingerbread cupcakes! Perfect gingerbread latte buttercream, swirled over rich chocolate mocha cupcakes! Preheat oven to 350. Line two muffin tins with cupcake liners and set aside. In a small bowl, combine coffee, cocoa powder, and vanilla. Set aside. In a large bowl combine oil and sugar. Add eggs one at a time until well blended. In another bowl, combine flour, baking powder, baking soda and salt. Add 1/3 of the flour mixture to egg mixture. Mix in half of the sour cream. Stir in 1/3 of the flour mixture followed by sour cream. Add remaining flour mixture. Stir in coffee mixture and chocolate chips. Using a large cookie scoop, fill each muffin cup. Bake cupcakes for 15-18 minutes or until a toothpick inserted in the center comes out clean. 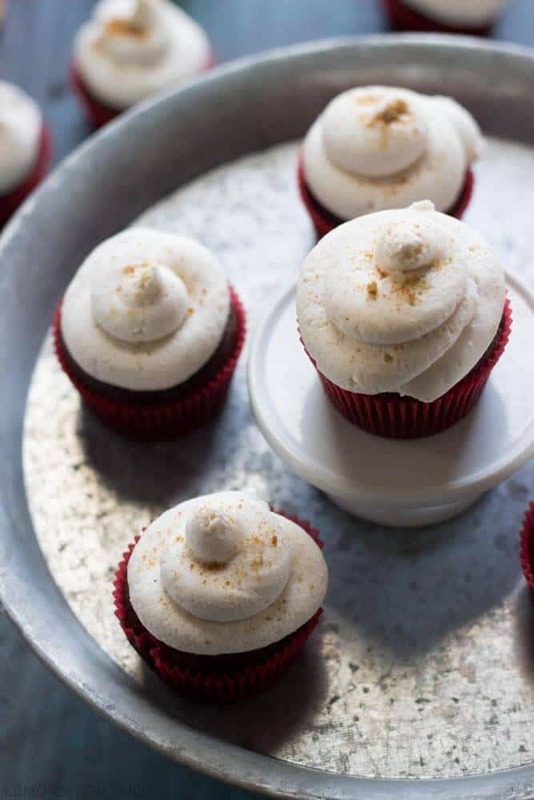 Let cupcakes cool completely before frosting. For the buttercream; beat together butter and shortening until smooth and creamy. Add powdered sugar one cup at a time. Add creamer in 2 tablespoon increments as needed. Stir in cinnamon and salt and continue to beat until creamy. Pipe frosting over cupcakes. 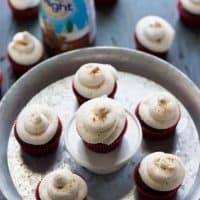 Crush ginger snaps and sprinkles crumbs over cupcakes. 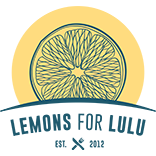 I may be linking this up to these parties and The Weekend Potluck! I wish we had that stuff here in Australia because these cupcakes are the bomb. They’re beautiful! My husband and I are both like you—we LOVE Christmas and get so excited for it way early on. These cupcakes look amazing! I made some mocha cupcakes a few weeks ago, but the frosting was kinda blah. 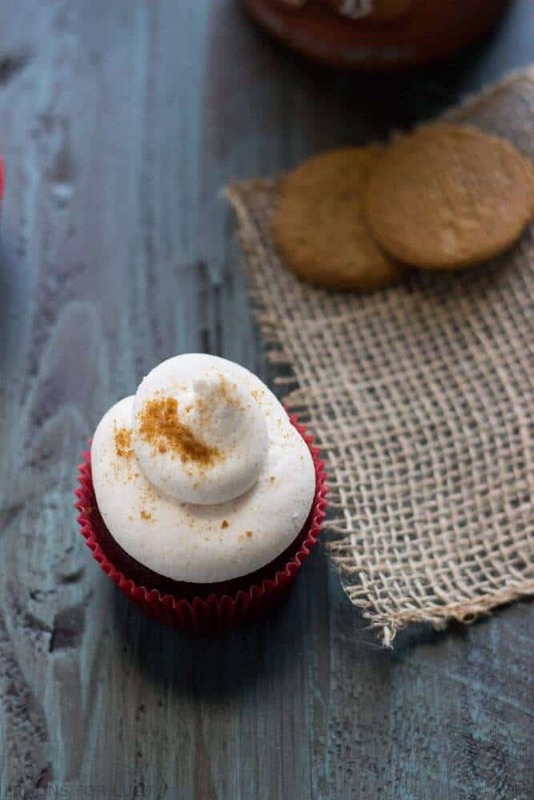 Your gingerbread latte buttercream would be amazing!! Can’t wait to try it. What an amazing cupcake flavor!!! Gingerbread latte buttercream… oh my! Pinned!